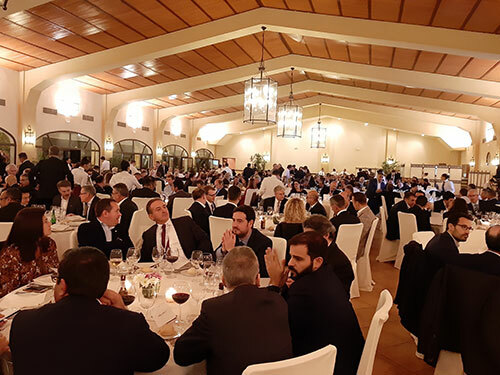 Over 350 participants from the European vending and OCS industry convened in Seville on 15th and 16th November for EVEX 2018. 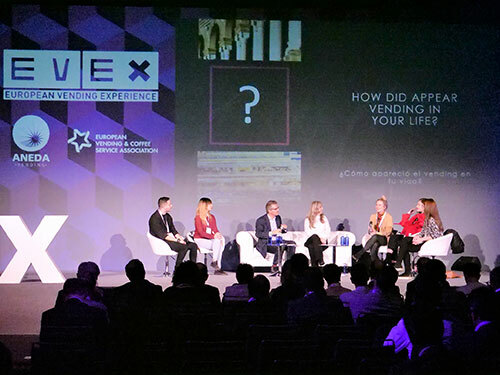 The 2018 edition of the European Vending Experience ‘EVEX’ brought key industry actors together for two days of educational conferences, unique networking opportunities, and an expanded commercial exhibition. EVEX was organised by the EVA in collaboration with the Spanish Vending Association (ANEDA) and saw more than 350 participants from 22 countries convene in the sun-drenched Spanish city of Seville. The EVA annual general assembly meeting launched EVEX before the conferences were held addressing two different themes. The first conference by trainer and lecturer Victor Küppers provided motivation on how to work and live with enthusiasm. He highlighted that companies should help inspire their staff to be creative and bring passion to daily work, while individuals should be open-minded for unexpected challenges and changes that will undoubtedly occur. The second conference, by ‘Millennial Translator’ Amanda Hammett, focused on the demands of millennials and how companies should adapt to ensure they remain attractive to younger employees and job seekers. Further to this, the conference explained the shifts that will take place in the workplace of the next generation. 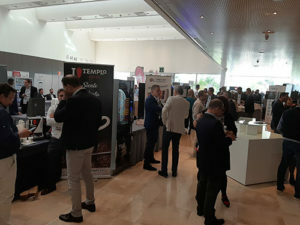 For this year’s EVEX, the commercial exhibition was held on both days of the event, meaning the afternoon of the first day was also dedicated to networking and meeting business contacts among the stands of the 50 EVEX sponsors. 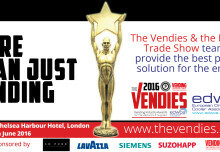 Payment System of the Year – Onyx by NAYAX. 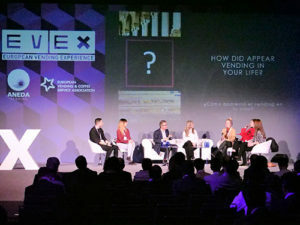 On 16th November, a workshop by Amanda Hammett, moderated by Javier Arquerons, interviewed young consumers from a range of countries on their usage of vending machines, their purchasing needs and demands, and what they consider would drive business and sales in vending among their peers. A workshop on Office Coffee Service (OCS) concepts by Marvin Van Dijken (Crane MS) of the EVA OCS Committee followed, and allowed participants to add their voice to an upcoming committee whitepaper on this growing segment of the industry, while learning more about various potential business strategies. The remainder of EVEX was dedicated to the commercial exhibition, providing the sponsors another opportunity to promote their products and do some business.